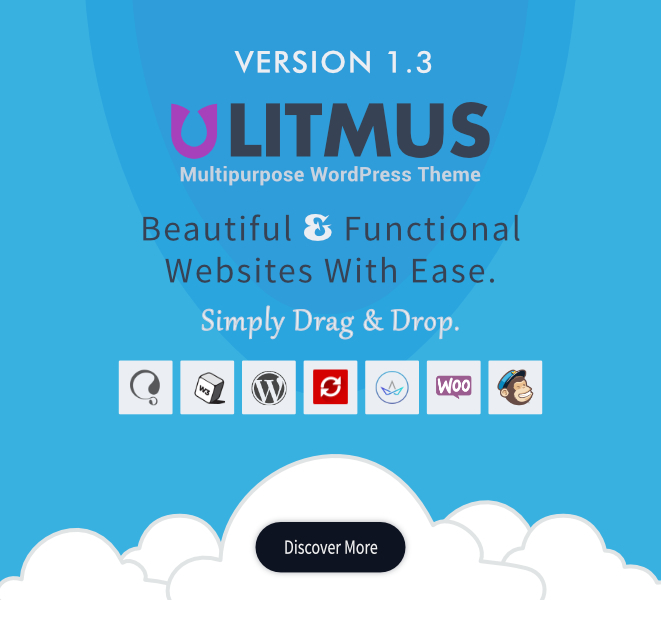 Litmus is a Responsive WordPress Theme which has been designed keeping usability and ease of use in mind.It has a lot of incredible features and its mobile-first approach will make your website look beautiful on every device.You create amazing web experiences for your users and clients. 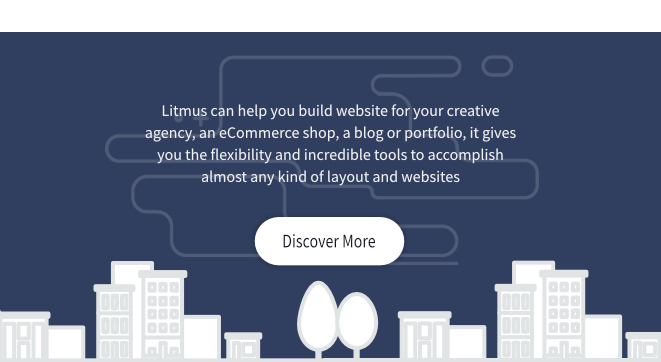 Whether you are launching a creative agency, an e-commerce shop, a blog or portfolio, Litmus gives you the flexibility and incredible tools to accomplish almost any kind of layout. 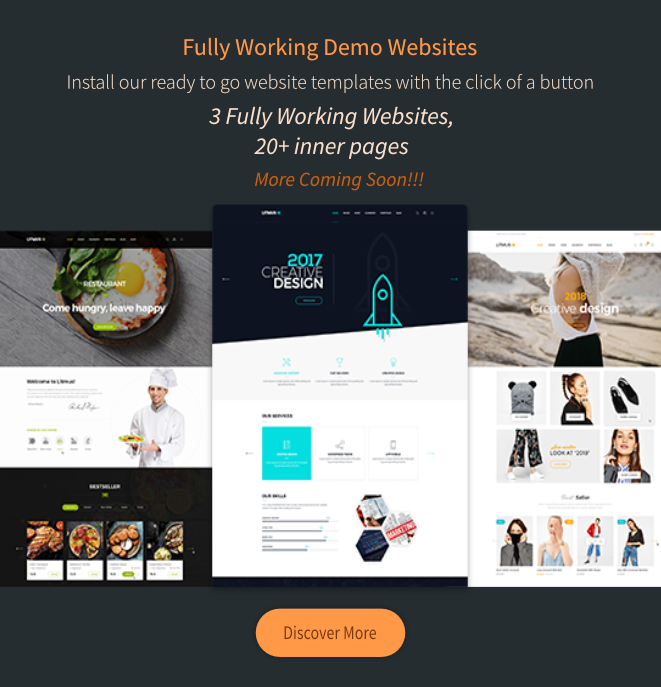 You will Be amazed by how quickly you can get your next website up and running. This All-In-One package includes King Composer Plugin (worth $199) – the most popular Drag & Drop Website Builder with 60+ Custom Elements, the awesome Revolution Slider Plugin (worth $18), unlimited customizability, full WooCommerce design integration, Premium Icons, bbPress integration & top-notch support that make this theme stand out. With our One-Click Installer, extensive documentation and video tutorials you get the perfect starting point for your next project. Page Builder – The drag-and-drop King Composer ($39 value) page builder for WordPress will save you tons of time working on your site content. Now you’ll be able to create complex layouts within minutes! This Page Builder can be used on your site front-end to make your work easier. All you need to do is drag and drop the content and see the result immediately. Responsive – We know responsibility is important once we live in a mobile world. It’s absolutely essential that your website be as accessible as necessary on all devices. However, we felt that responsive design was something else we wanted to make even better for you. Even better for the web. Make sure our theme is fully responsive! Front-end Editor – Enjoy a “What You See Is What You Get” page building experience with our amazing front-end editor. See how your content will look on the front end, instantly, with no additional clicks or switches. Backend Editor – Prefer to work on back-end? No problem! 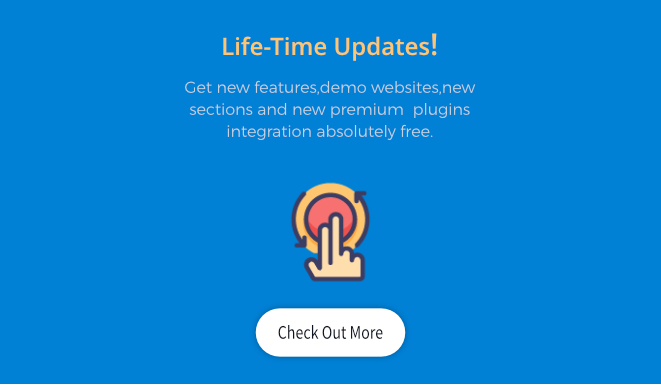 Visual Composer still supports native content management on the back-end, with all the important functions and options at your fingertips. Cross Browser Compatibility – No browser is left behind with the Litmus WordPress Theme! All modern browsers supported by Litmus include Google Chrome, Firefox, IE, Opera, and Safari. Translation Ready– Litmus WordPress Theme is translation ready to better serve you. Child Theme Compatible– Litmus is child theme compatible, with child themes available for your purchase of the theme to make customization easy and painless. Updates – Our first priority is to keep the Litmus theme on the top and working perfectly, and our team is quick to address bug fixes as well as adding new features on the theme. You can update individual theme using our auto-updater 1-click system. High Performance – Fast loading, light-weight, best UX. Made for high performance, tested on page speed, slow and co.
A Word About Speed Performance – This is the fastest theme available. We spent a considerable amount of time tweaking every aspect of the theme to perform at its absolute best. All the queries are hand inspected to be optimal, all the images and resources are carefully compressed to make the site load blazing fast and all the scripts are profiled and modified to run at top speed.